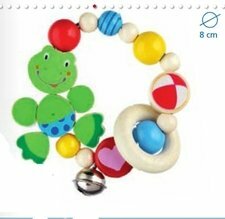 Heimess is a 'German company specialized in the production of toys for babies, which leads pacifier chains and chains and decorations for stroller. 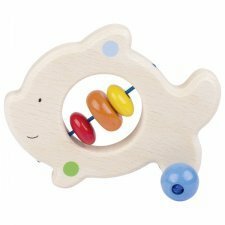 The wooden toys for babies are easy to handle and with bright colors, in order to stimulate and keep training in mental and motor functions of the child and stimulate touch, hearing and sight of the child, as well as the basic motor skills. The wood used comes from local forests and the paints used are completely non-toxic. All games are certified GS ("Geprüfte Sicherheit", "Proven Security"). 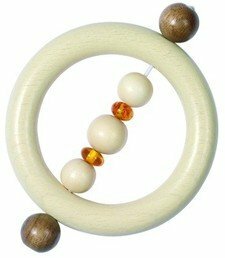 Touch ring for teething, with real amber. 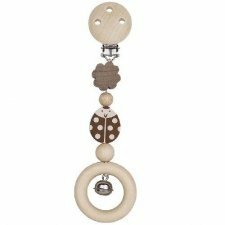 Touch rings made of wood are indispensable for a baby's hands. They trigger the grasping reflex and stimulate the development processes for specific grasping. 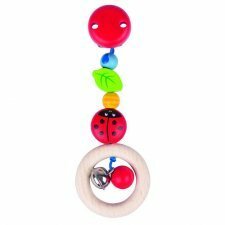 This conveys many sensory impressions which help the baby to explore its surroundings. 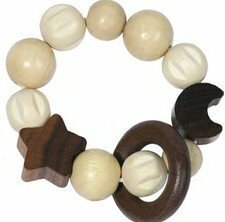 Made from natural wood, not coloured. 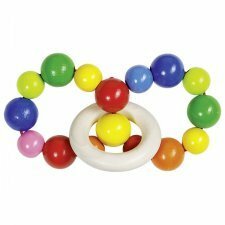 Touch rings made of wood are indispensable for a baby's hands. They trigger the grasping reflex and stimulate the development processes for specific grasping. 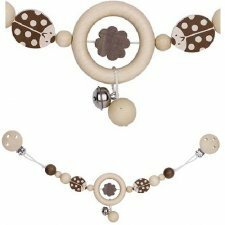 This conveys many sensory impressions which help the baby to explore its surroundings. Touch ring Natural, Elastic moon and star, maple wood + walnut wood. 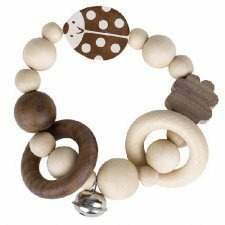 Touch rings made of wood are indispensable for a baby's hands. They trigger the grasping reflex and stimulate the development processes for specific grasping. 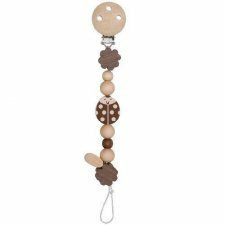 This conveys many sensory impressions which help the baby to explore its surroundings. Touch ring Natural, Elastic teddy and heart, maple wood + walnut wood. 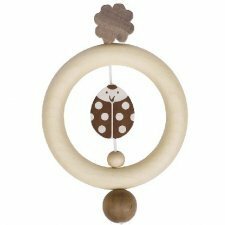 Touch rings made of wood are indispensable for a baby's hands. They trigger the grasping reflex and stimulate the development processes for specific grasping. 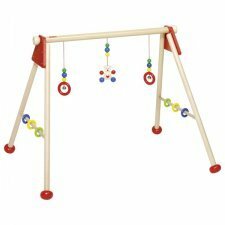 This conveys many sensory impressions which help the baby to explore its surroundings. 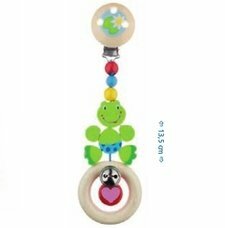 Touch toy with metal clip easy to fix to clothes of prams allow your child to be able to play safely. Selected indigenous woods. Non-toxic colours, saliva resistant. Metal part stainless steel (does not cause allergic reaction to nickel). Formaldehyde-free glue. Crafted by hand. This amber dummy chain can be also used as relief for teething. 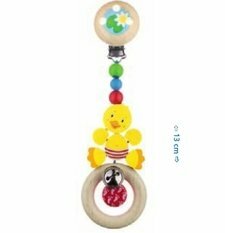 Attractive clip figure ducky, touch toy. 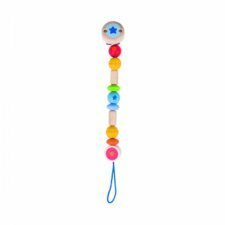 Attractive clip figure horse, touch toy. Metal clip easy to fix to clothes of prams allow your child to. be able to play safely. Made of maple wood + walnut wood. Selected indigenous woods. Saliva resistant. Metal part stainless steel (does not cause allergic reaction to nickel). Formaldehyde-free glue.